Throughout most of ibiza you can find apartments that are like hotels, but without the service. This is one. Apartmentos Art has an outdoor pool, front desk and restaurant, but you have a complete self catering apartment. 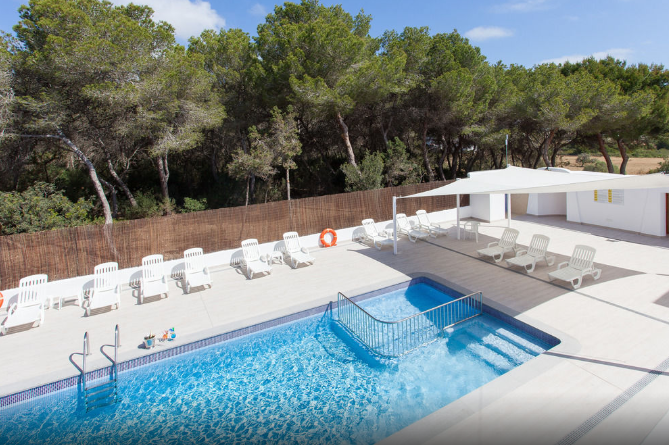 These apartments in Es Canar have fully fitted kitchens, cable TV and free WIFI, the complex also has a small pool which is create for children. 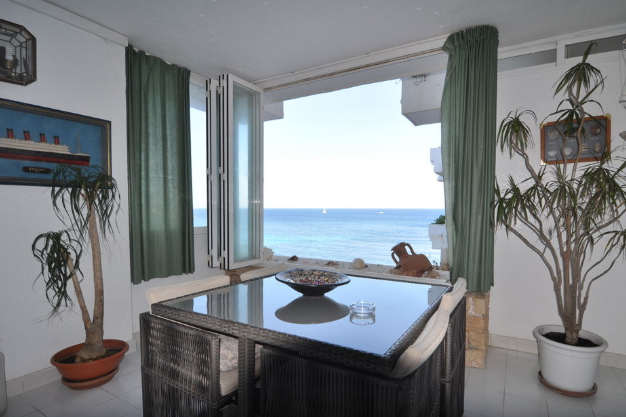 The apartments are very close to the beach and offer a good range of facilities. These apartments are right on the beach, but you also have the use of a decent size pool. The Aluasun Miami operates as an aparthotel, offering full hotel service facilitates. The apartments can be used for self-catering but only have a kitchenette. 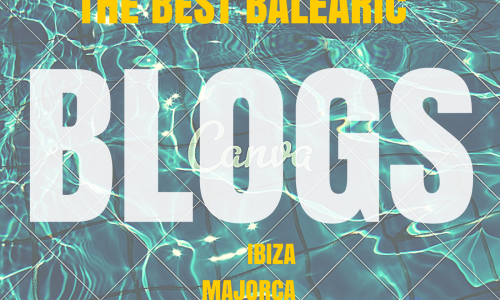 We all know Ibiza as the world’s favorite party destination. Been there, done that. But wouldn’t a quiet spot to simply lay back and enjoy the Mediterranean slice of heaven that surrounds you be simply perfection? Well, if you want a true taste of Ibiza, away from the loud sounds and the glaring lights, Es Cana is just the right place for you. A small beach resort tucked away neatly on the far east coast of the island; it promises solitude but never loneliness; the air here is always alive with a gentle vibrancy- sounds like a dream, doesn’t it? Es Cana is exactly that- the dreamiest little nook in Ibiza. And if you think there isn’t much to do besides soaking in the beautiful atmosphere, you are wrong. Es Cana has plenty of activities to keep you pleasantly excited for a laidback holiday. It is definitely a little while away from the airport with a distance of 27.2 kilometers. Getting to this magical resort, however, is very easy. 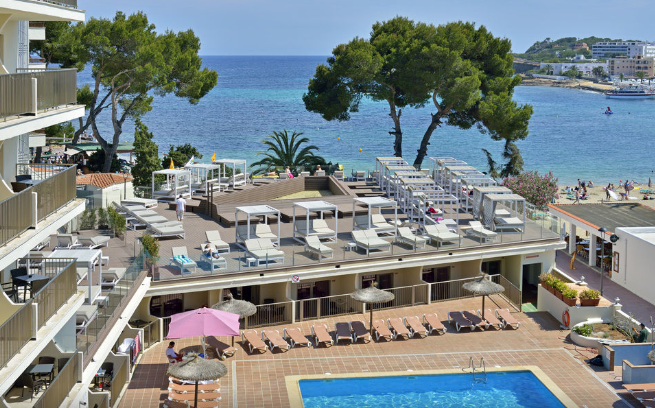 Simply grab a tourist bus or taxi and head directly to Es Cana or ease your way into it from an incursion to Santa Eulalia des Riu. Although Es Cana is away from the madness of the rest of Ibiza, it is hardly disconnected from the island. Popular spots like Santa Eulalia, San Antonio and Porinatx are close by with easy transportation.Once you’ve reached Es Cana, know that you are about to experience some of the greatest moments in your life. For instance, this resort is famous for its glorious sunrise and it is one sight you shouldn’t miss. A great time in Ibiza is all about the beaches. And thankfully, the beaches in Es Cana are perfect to kick back in while sipping on a margarita. Although tourists from all over the world flock to these beaches, it’s never too crowded and you always end up making some amazing friends over a game of beach volleyball. The central beach of Es Cana is one of the stars of the resort. Placed right at the heart of Es Cana and shaped like a horseshoe, it is one of Ibiza’s longest beaches. Rocky red cliffs surround the beach while tall pine trees, overlooking the crystalline water, fringe it like a work of art. Being the star of the show, it is bound to get a little crowded at times. However, it is perfect for fun watersports with the family. Go waterskiing, parasailing or windsurfing- you will never tire of making a splash in the waters of Es Cana beach. And if you want to sway to some true Spanish beats, the beach bars will take it up a notch for you. Jacaranda Lounge is just one of the many of these with its very own pool and Egyptian-style shishas for you to indulge in. Close to Es Cana beach, you will find another sandy gem, Cala Nova beach. With golden stretches of sand and shallow turquoise water, this beach is one of the quieter ones. Make little sandcastles with the family or go for a quiet dip in the sea- Cala Nova is the place to let the tension simply roll off your body. Besides, it is the main beach in Ibiza for surfing. So, if you want to ride the Mediterranean waves, hop on your surfboard. To the south of Es Cana, there is the Cala Martina beach- the home of the hippies. This is a favorite spot for wind and kite surfing because of its southern wind but you can also partake in any other water activity if you wish. If you are going to have a great trip, you will need something to show for it. Handcrafted bags, an ethnic skirt, maybe some pretty trinkets- these are going to be your memories of a lifetime. Es Cana’s thriving marketplace definitely does not disappoint visitors. Always lively and filled with pretty little things, it attracts people from all over Ibiza. The Hippy Market of Punta Arabi on the outskirts of Es Cana is a legend in the island. Countless stalls set camp every Wednesday underneath the looming trees and display some of the quirkiest, most charming items you can find on the island. Take a stroll through the oldest market in Ibiza and you will find yourself spellbound. If you’ve missed the Wednesday market, fret not. The Las Dalias Hippy Market takes places every Saturday and Monday. With gorgeous Ibizan jewelry, clothing, art-pieces and more spread underneath glimmering lights, you will be spoiled for choices. Besides, there are many quaint little stores for you to peek into and you might just find something that you love. Good food is the icing on the cake of any trip. And in Es Cana, your gastronomic desires are going to be tended to in full swing. Throughout the resort and its beaches, you will find many bars, cafes, restaurants which serve to please. And the atmosphere is unfailingly full of life and laughter. Popeye’s Bar in Avenida Cala Nova is not just great for easy munchies but makes for a fun time with their live entertainment. And while you’re in Es Cana, you must visit the Jacaranda Lounge. The poolside restaurant serves international cuisine with an Ibizan twist and at nighttime, it’s transformed into a party spot. For a drink, maybe head over to Charlie’s Bar, one of the many British pubs in the resort. With a great selection of drinks and tunes which make you move, you will want to stay here till the wee hours of the morning. In Es Cana, just walking along the coastline will lead you to places of jaw-dropping beauty. An idyllic canopy of bougainvillea or a bar reverberated with the most exotic music in the island- there’s no saying what you might find. Therapeutic in its beautiful serenity, Es Cana is just the right place in Ibiza to fill you with a new appreciation for life.